LEWISVILLE, Texas (October 15, 2014) – Envolution™ by Metl-Span® has produced two brochures illustrating its dedication to the development of energy-efficient and cost-effective architectural panel systems. 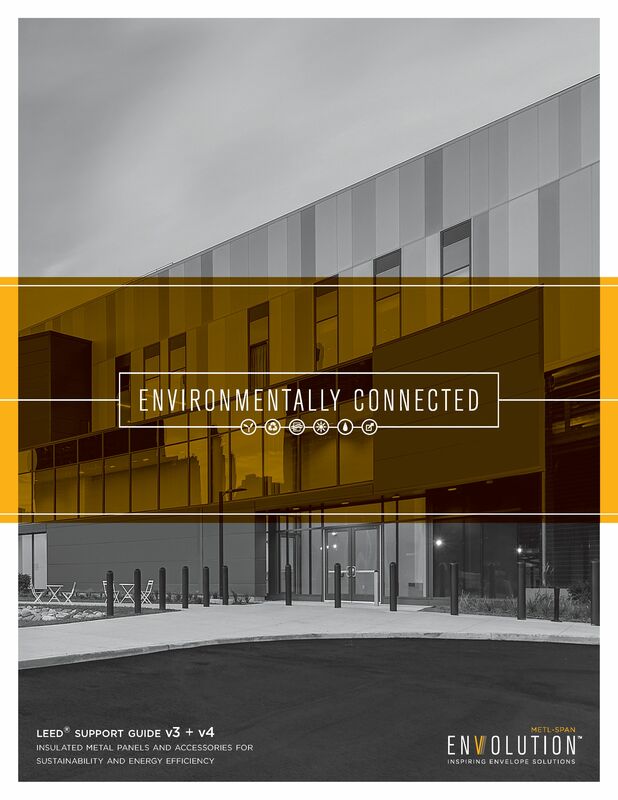 Environmentally Connected is a LEED v3 and v4 Support Guide to highlight the Envolution insulated metal panels and accessories that meet sustainability and energy efficiency standards. This brochure is being provided to help architects, specifiers and design professionals in identifying the sustainability benefits, attributes and performance criteria of insulated metal wall panels relative to qualifying for credits within the U.S. Green Building Council’s LEED Green Building Rating System. To download the eight-page Environmentally Connected brochure, CLICK HERE. Envolution by Metl-Span has also produced an Environmental Product Declaration for its insulated metal wall and roof panels. The brochure provides a detailed analysis of the company’s products’ environmental manufacturing footprint, based on an ISO-compliant Life Cycle Assessment (LCA). The LCA measures the impact of Metl-Span products on the environment during all phases of their life from supply chain, through the manufacturing process, to product use and end of life. Standards are applied to accurately report the products’ impact on the environment. For more on the Environmental Product Declaration, CLICK HERE. Visit Metl-Span in booth 2255 at Greenbuild in New Orleans, October 22-23. 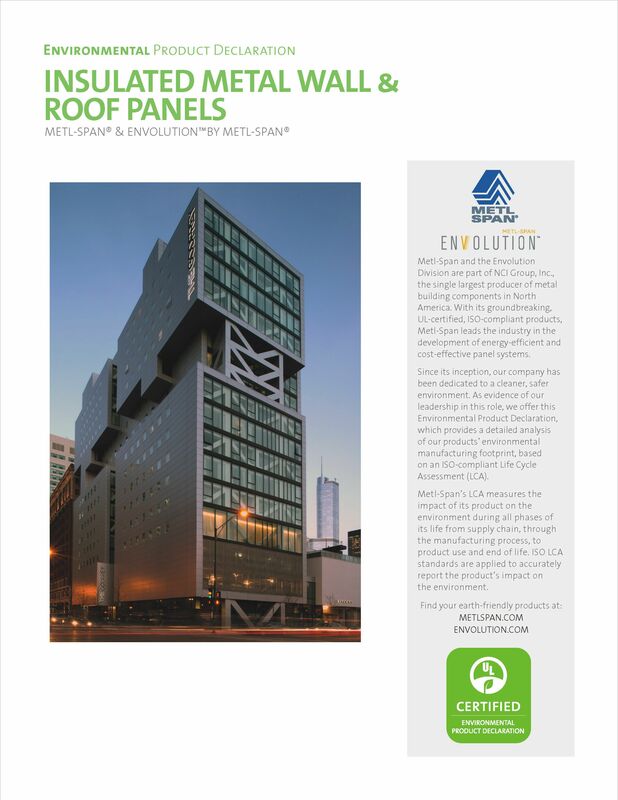 The Envolution product line includes insulated metal panels, window systems and custom accessories. And, in association with DAMS Incorporated, provides a complete building envelope solution incorporating Vantaj™ ACM and aluminum plate panels, sunshades and grilles, light shelves, column covers and louvers. For more information on Envolution, visit www.envolution.com.